“Let us find the courage needed to take all necessary measures and to protect in every way the lives of our children, so that such crimes may never be repeated. In this area, let us adhere, clearly and faithfully, to ‘zero tolerance’” – Pope Francis. Pope Francis has called for bishops to observe “zero tolerance” for abuse, oppression and exploitation of children. 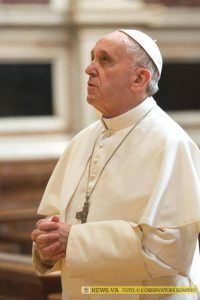 In a letter to the bishops of the world, and signed on the Feast of the Holy Innocents, 28 December, the Pope addresses the many deprivations and abuses suffered by children in today’s world, including sexual abuse by priests. He asks the bishops to renew complete commitment to ensuring that these “atrocities” will no longer take place in the midst of the Church. “Let us find the courage needed to take all necessary measures and to protect in every way the lives of our children, so that such crimes may never be repeated. In this area, let us adhere, clearly and faithfully, to ‘zero tolerance’,” he states. 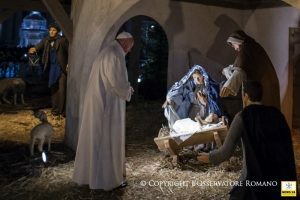 The Holy Father begins his letter writing about the joy that comes from the proclamation of the birth of Christ but writes that the Christmas story is also accompanied by tears. Offering Saint Joseph as a role model, he asks pastors to both hear God’s voice and become more conscious of what is going on around them, and to interpret these events realistically. He urges the pastors to protect the joy of the Christmas message from the “Herods of our own time” who “devour” the innocence of children through illegal slave labour, prostitution and exploitation, wars and forced immigration. He quotes current statistics which show that 75 million children in emergency and crisis situations have had to interrupt their education. In 2015, some 68 per cent of those who were sexually exploited were children. One third of all children who have to live outside their homelands have been forcibly displaced. Almost half of the children who die under the age of five do so because of malnutrition. It is estimated that in 2016 there were 150 million child labourers, many of whom live in conditions of slavery. The future is also bleak according to the most recent report by UNICEF, which shows that unless the world situation changes, by 2030 there will be 167 million children living in extreme poverty, 69 million children under the age of five will die between 2016 and 2030, and 16 million children will not receive basic schooling. 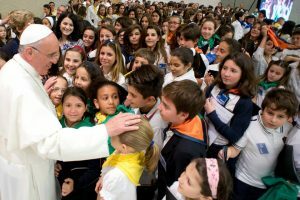 Pope Francis states that the bishops must find new courage to protect children and to be more sensitive to what is happening in the world around them.